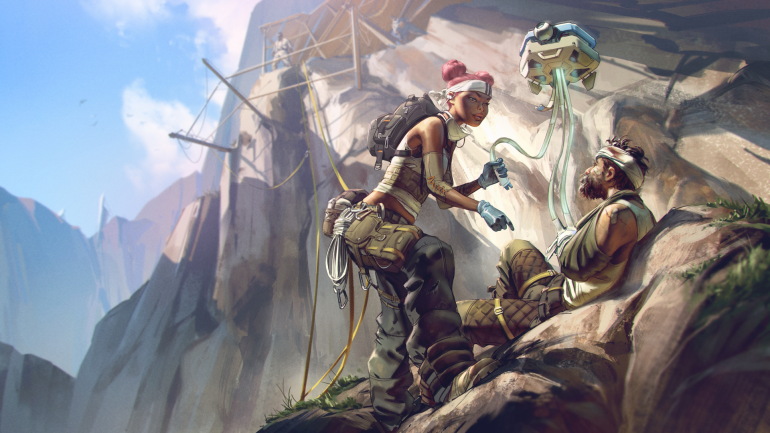 If you’ve been playing the latest battle royale hit, Apex Legends, you’ve probably ran into some trouble already. The game has just been released, so it’s understandable that a few players with sub-optimal PC builds have experienced a few FPS or lag issues while playing it. But several players have reported freezing and crashing. Their reports are taking over the technical issues section of EA’s forums, and unfortunately, there doesn’t seem to be an easy fix or solution that fits all cases of freezing. Some people report a few seconds of freezing during matches, while others say they can’t even join an Apex Legends match. Players on PC who are experiencing crashing and freezing might have to check and test a short list of things to try to run Apex Legends better. Console players who are experiencing freezing might have to wait for a game update, though. There’s not much you can do to improve your experience. But before that, there are a few cases in which players simply won’t be able to run the game. This depends on your PC build or your system conditions. Check if your system (or parts of it) meets the game’s minimum requirements. They’re called minimum because you can probably run the game in worse builds, but you’re almost guaranteed to have to deal with freezing and crashing. EA has also confirmed that Apex Legends can’t run on AMD Phenom processors, regardless of how good they are. This should also be true for old Intel processors. This will require you to upgrade your CPU. Remember to also monitor your PC’s health while running Apex Legends. Overheating is a quite common cause of game crashes. If you can run the game but are still experiencing some weird behaviors during matches, there are a few things you can test. If you’re not part of the unlucky group that simply can’t run Apex Legends, you can try to improve your game experience with a few tweaks. EA doesn’t have a simple solution to all cases, though, so the solutions suggested below are based on players’ comments on the EA forums and might also not solve all cases. Test them as you wish. Ignore any third-party file or executable that claims to be a fix to Apex Legends. A few shady websites claim all you need to do is download their file and install it on your PC. Ignore them and refuse to download. Since they’re not official patches made by EA or Respawn, they’re guaranteed to install something you don’t want on your PC. Just install fixes and patches from official websites, or never do since official updates will most likely be downloaded automatically by Origin. This is quite a standard recommendation to people who forget to update their drivers, but in the case of Apex Legends, it could suit people who are always up to date. AMD and Nvidia have both released new drivers for their video cards that optimize and fix issues related to Apex Legends. Install them and check how they affect your game. If you updated your driver to the most recent versions mentioned above before playing Apex Legends, it might be a good idea to roll back to the previous driver version. AMD’s Apex Legends driver, for instance, is not the recommended version yet, so it may cause instability in some PC builds. Revert to the recommended driver version if needed. Some video cards have sync options that might cause issues within Apex Legends when paired with the game’s own Vertical Sync. A few players have reported that disabling this feature for Apex solved their issues with freezing and crashing. A few players have reported issues with AMD’s FX-6000 series processors. Some say small tweaks, like playing in windowed mode, solved their problem, while several others claim that disabling two out of the six processor cores through your BIOS fixes the issue. Please note that doing the former will drastically reduce your PC’s performance and may cause issues in other software—so we don’t recommend doing that, and we won’t link to a guide explaining the steps to do that. EA and Respawn are aware of this issue and are working on a fix. Players who overclock their CPUs have reported that they solved freezing and crashing in the game by either reducing or disabling their CPU overclocking. This might be a good setting to tweak in case you run a mid or high-end PC build. If you have no idea what we’re talking about, you’re probably not overclocking your CPU and can skip this step. Since EA said Apex can’t run on a AMD Phenom processor, regardless of their power, you should also check if your processor isn’t too old for the game. If it is, you might have to upgrade it. Your game files might be corrupted for some reason. When you launch Origin, you can go to your library, select Apex Legends, and click on a gear icon right of the big orange “Play” button. This will open a menu with a “Repair” option. Select it and let the fix run. If your freezing and crashing are more serious, repairing your files might not be enough. Try reinstalling Origin first, and if that doesn’t help, reinstall Apex Legends. A few players have reported their Windows firewall didn’t allow Origin and Apex Legends through their firewall by default. You might have to do it manually and check how that affects your performance. It seems like Origin’s overlay that shows your FPS counter might affect the performance of your PC. Follow our guide on how to enable the FPS overlay, but uncheck the box on Origin instead. EA’s Support Forums have a topic called Community Crashing Troubleshooting Guide with additional suggestions to try out if your game keeps crashing and freezing. If you checked this whole list and still can’t run the game, you could wait for a new game update or share the details of your error on EA’s Technical Issues forum. We will update this story as we learn more information about how to fix freezing and crashing in Apex Legends.